RAF Bomber Command and its crews were probably unique in the history of warfare. During the Second World War each RAF bomber crew member was a volunteer, and in the case of the Command's elite Pathfinder Force, many were volunteers within a volunteer force. 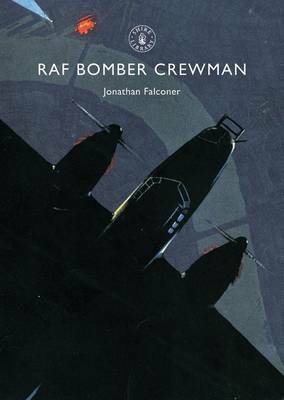 Discover what it was like to fly with an RAF heavy bomber crew on a typical night raid over Germany. Learn about the different kinds of specialist flying kit available. How did a squadron's choice of aircraft - Stirling, Halifax, Lancaster or Mosquito - affect one's chances of survival? What were the odds when a lone bomber crew battled it out with a marauding German night fighter aircraft, or with deadly flak and searchlights? And what would happen to an airman if his nerve cracked under the pressure? Whatever your viewpoint on the morality of the bomber offensive, the bravery of the men who flew by day and night with Bomber Command is an undisputed fact.